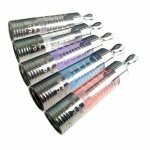 The T3D from KangerTech features a removable drip tip and support for bottom single or dual coil Kanger atomizers and is available in a variety of colors. 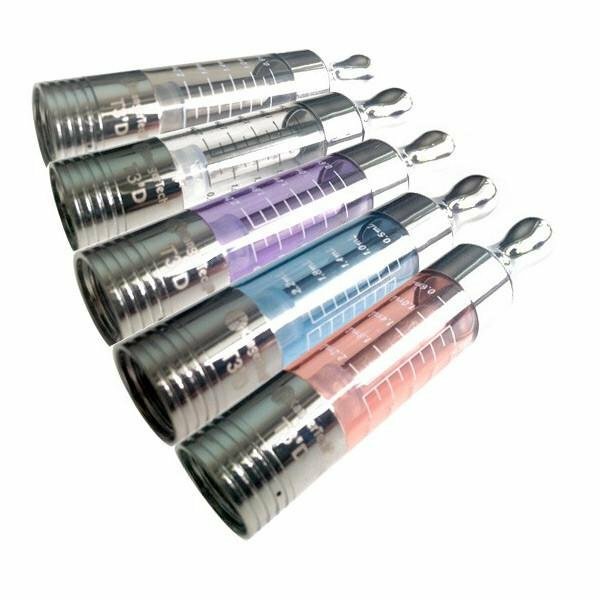 Clear tank provides maximum visibility for remaining eLiquid and 2.5ml capacity is larger than EVOD 2 tank. 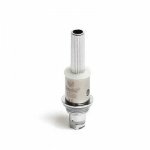 The tank fills from the bottom, to fill, hold upside down and remove tank from the atomizer base. Hold at a 45 degree angle and fill to the top of the center post, avoiding getting juice in the center post. Place a drop of eJuice on each of the new atomizer's wicking holes. Put 1-2 drops of eJuice directly within the coil. Perform several "priming puffs" when installing a new coil. Without pressing the fire button, inhale deeply several times to help the juice wick in your new atomizer. Wattage Range: 6-11 Watts, depending on atomizer.